Jonas Mekas, Patron of Harry Smith, Dies at Age 96 – Zero Equals Two! Experimental film maker, Jonas Mekas, best known as proprietor of NYC’s Anthology Film Archives died this morning, peaceably at home according to his son Sebastian. His achievements over the decades were legion and here’s one decent recounting: http://www.artnews.com/2019/01/23/jonas-mekas-key-experimental-filmmaker-dies-96/. Most pertinent to our concerns, he was a friend and patron to (unofficial) gnostic saint Harry Smith, storing his art and films, generating sorely needed income via film rentals and such. Hymenaeus Beta sent a link to a 2016 article that included a long letter from Mekas talking about the history of “downtown” New York culture during it’s heyday. Jonas Mekas did many things in his long life, but one thing he did better than almost anyone –the last thing he did – was model how to live as a vital New Yorker at age 95. That came to an end this week at 96, as Jonas died in his home, after months of treatment for a debilitating blood disorder. His death was peaceful, according to his son, Sebastian, as was his mind during the four years that I knew him. “My own end will come when it’s ready to come, but I never think about that,” he told me in June of 2015, in his loft in Brooklyn. “I could drop next second. It’s useless to think about that. You never know. You cannot protect yourself from death. Tonight, when I talk about what I learned from spending a year following Jonas and five other New Yorkers age 85 and up, I’ll begin with a line from Jonas, spoken in a Greenwich Village jazz club on a March afternoon. Jonas was 92 at the time, reading from an unpublished novella about a manual typewriter. I was in the back, at a table of Lithuanian opera singers. I was 55, in the middle of a divorce. Had I ever thought about life that way? Probably a couple times over the years. But by this time I had been following Jonas for three months, and I realized that that was how he saw life all the time. Maybe not how he saw it when he was younger, when he was put in a Nazi forced labor camp or a series of United Nations displaced persons camps, but Jonas was still growing, and when we last talked, at the start of January, he was still amazed by his journey. 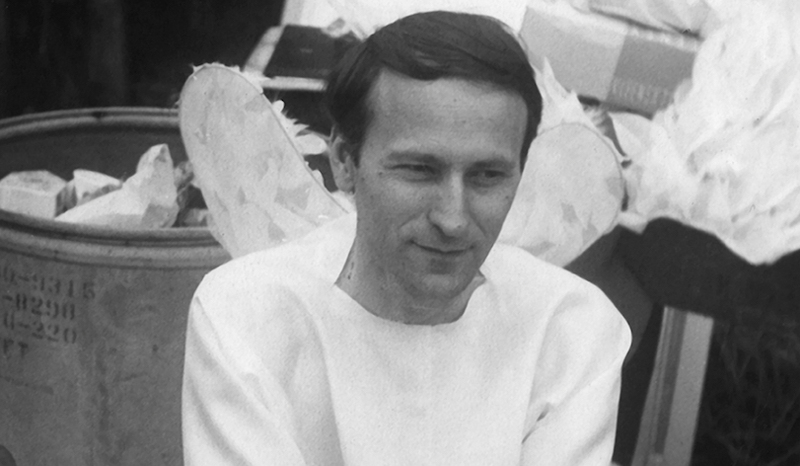 I never knew the Jonas Mekas who pioneered avant garde film in America, hobnobbed with Andy Warhol and Yoko Ono, built Anthology Film Archives, created “diaristic” films that anticipated Instagram and Facebook and stood as one of Lithuania’s premier poets. But I knew the Jonas he added to all those other identities. And that Jonas, like the others, is likely to inspire people for years to come.